Thank you for inviting me to speak to you. I feel privileged to be with you on this occasion. This month marks the 60th anniversary of the Tibetan National Uprising. I just came back from Dharamsala where I participated in and spoke at the commemorating event hosted by the Central Tibetan Administration. 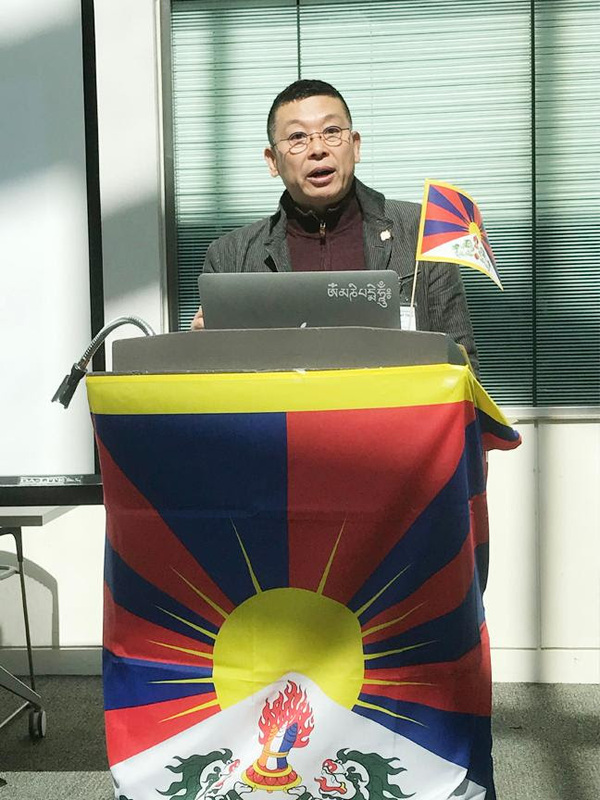 I was particularly honored because I was the only Chinese speaking at the event (link to my speech https://www.citizenpowerforchina.org/single-post/Yang–Jianli-Dharamsala-Speech-2019 ). I also had the honor to have audiences again with His Holiness the Dalai Lama and Samdong Rinpoche. Today, I want to share with you my perspective regarding what we can and should do together for Tibet. I am not pretending that I represent the majority view of the Chinese either in or outside China, even not that of Chinese human rights and democracy activists for that matter. But I am glad to tell you that the number of the Chinese who share my view, although small, is growing. Here are my humble thoughts and ideas. 1. The Tibetan people have suffered so much at the hands of the Communist regime consisting mainly of the Chinese and with the support and help from many ordinary Chinese people. I am a Chinese and feel guilty and obliged to do what I have done in the past nearly 30 years to support the cause of a free Tibet and try to bring about peace and harmony to the two peoples. And I will continue. 2. No Chinese, either a part of the PRC government or of opposition like myself, can and should claim to represent the will of the Tibetan people. Only the Tibetan people can and should speak of themselves. The right to choose the future of Tibet ultimately resides with the Tibetan people and nobody else. Tibet has not always been part of China, as the Chinese regime claims. The Tibetans, as a people, have a different biological, historical and cultural identity. As such, they are entitled to the right of self-determination. The Chinese people as a whole must eventually accept this principle, or the current problem will remain or reoccur no matter what political setting will be arranged in the future. 3. That said, my point will not be complete if I don‘t add this warning. Tibet and China have so intertwined historically, politically, culturally and religiously in the past two thousand years, and the reality of Tibet being part of PRC is so entrenched in the minds of not only the Chinese people but the world leaders for whatever reason, that the Tibetan issue cannot be resolved according to the will of the Tibetan people and based on universal values without the support and understanding of many many Chinese. 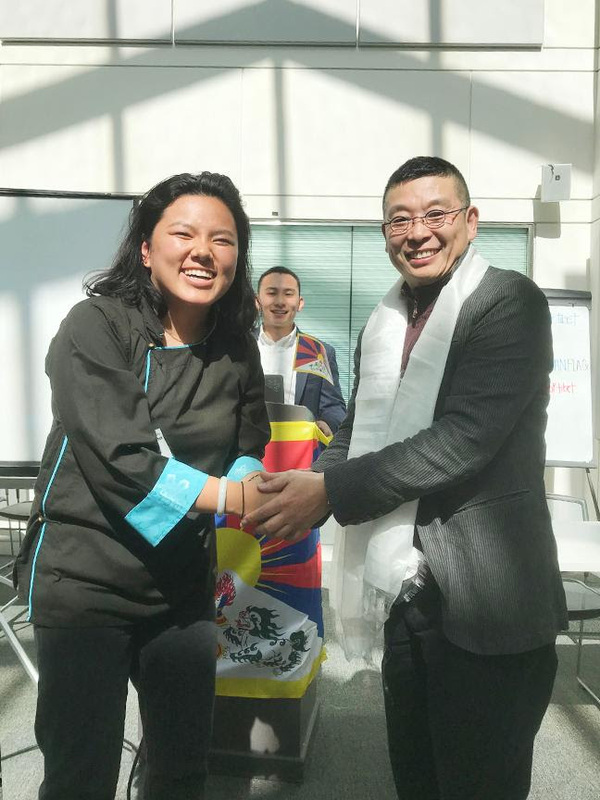 There will be a long and difficult way to go for the Tibetans to eventually be able to enjoy and exercise their right of self-determination and they need Chinese to walk with them very step on the way toward that end. So they probably have no choice but relentlessly reaching out to the Chinese for their cause no matter what, where and when. This is leading to the number 4. 4. Speaking on my personal experiences, The Dalai Lama‘s middle way approach has played the most important and most effective role in winning the Chinese to the Tibetan cause. To many Chinese democrats, me included, the Dalai Lama‘s middle way approach has proved indispensably instrumental in talking our Chinese compatriots to get them interested in the Tibetan history, culture, religion, and, most importantly, to recognize the true reality and aspiration of the Tibetan people. I understand there are different views among the Tibetans from the Middle way approach but, at as far as the issue ofwinning support from the Chinese concerns, I urge my Tibetan brothers and sisters to understand His Holiness‘ wisdom and uphold his middle way approach. 5. There has been a cliche among Chinese democrats. Most repeated. There is no hope for a free Tibet if the nature of the Chines regime does not change, so we must work first to democratize China. One of reasons this has become a cliche is that it does contain some truth. But I don‘t like the sino-centric position on which it is stated. And, given the permeating Han Chauvinist mentality among the Chinese, even with democracy in China, the resolution of the Tibetan issue will not be an easy job. So China‘s democracy is only necessary but far from being sufficient. So we must continue what I call the truth campaign, making particular efforts now to bring the truth about Tibet to the Chinese people and engage in real heart to heart dialogues with them and discuss with them the future for both peoples. I have engaged this campaign in the past 30 years, and will continue to expand the campaign and dialogue to include more people. 6. Make more efforts to promote the Tibetan Culture and language. We cannot wait. There is danger. Have done so much, but not enough. In my meeting with Samdong Rinpoche, we talked about the idea of building a Buddhist Vatican around the His Holiness the Dalai Lama, the Tibetan Buddhism and Dharamsala. 7. If there is no major change in the political situations internationally or domestically, the Chinese regime is determined to keep the status quo in Tibet if not worse. It seems a done deal on the part of the Chinese regime to prepare to control the process of reincarnation of the Dalai Lama and pick the 15th Dalai Lama it will favor and be able to control. Given such a unique role that the Dalai Lama plays in unifying and inspiring the people of Tibet, this intrigue would be devastating to Tibet. It will take tremendous wisdom and unity among the Tibetans and their political and spiritual leaders to prepare against this unprecedented difficulty. Tibetan issue is one of most difficult issues facing humanity, it is a test on mankind‘s morality and wisdom, especially on the Tibetans and Chinese and the world leaders. It is a wish of many people that the 14th Dalai Lama will stay with us forever. But we will eventually face the reality without his holiness. To me, the things I advocated above, uphold the middle way approach, reach out to the Chinese, commit to nonviolence, continue the truth campaign with the international community and the Chinese, promote Tibetan culture and language and environmental protection in Tibet, last but not the least help democratize China, are the things we have to do with or without the Dalai Lama.